That elder in India no longer receive care and respect within families and outside has been long established. But many of them silently suffer abuse at the hands of their sons comes as a huge shock. It undermines, if anything, the myth of ‘Shravan Kumar’. According to a survey by HelpAge India, released on the eve of World Elder Abuse Awareness Day, about 56 percent of India’s sons indulge in elderly abuse as compared to 23 percent of daughter-in-laws. At the national level, 31 percent of older persons reported facing abuse. Madhya Pradesh with 77.12 percent reported the highest incidences of elder abuse followed by Assam and Uttar Pradesh at 60.55 and at 52.00 percent respectively. The survey was carried out in 20 cities across India and interviewed 5600 persons of old age. Among Indian cities, elders face maximum abuse in Bhopal (77.12 percent) followed by Guwahati (60.55 percent) and Lucknow (52 percent). 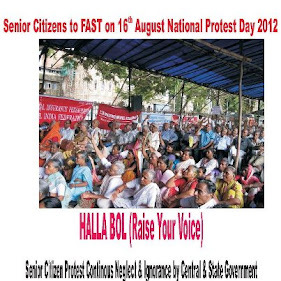 The National Capital Region has reported 29.82 percent elderly abuse, a sharp increase in from last year’s 12 percent. Mumbai is not far behind with 29.46 percent. Jaipur with just 1.67 percent turned out to be the safest city for elders. In fact, the most unfortunate part of the report is that even literate people couldn’t escape from abuse at the hands of their progenies. About 20 percent of those who had experienced abuse were graduates, 19 percent had education up to primary level and 16 percent were illiterates. A fast-paced urban life has further enhanced their neglect and woes. “The individual is not prepared for that age so the family members and the peer group are also not prepared. 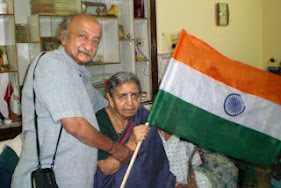 Also due to growing fast life, people do not have time to care for others,” added Rath at Agewell Foundation. Disrespect, neglect and verbal abuse, are the most appropriate parameters that define elder abuse. Disrespect was shown as the most prevalent type of elder abuse in the society followed by neglect and verbal abuse. 44 percent respondents identified disrespect as the most common form of abuse, 30 percent identified neglect as the second most common form and 26 percent identified verbal abuse. “Many people neglect the elderly without even realising it. Sometimes it so happens that the person does not deliberately means to hurt the elderly but somehow the situation so arises that they do get hurt and the elderly person feels that the person showed him disrespect,” added the resource person at Help Age India.